The new lending rate regime based on Marginal Cost of Funds will be implemented from April 01, 2016. There is a lot of anxiety among both potential and existing borrowers. It is because of uncertainty about the new lending rate. The key concern of a borrower is that we should not miss the bus. The new borrowers are postponing the home loan in anticipation of much lower interest rates. On the other hand existing borrowers are worried that banks may charge hefty conversion fees to shift them from Base Rate to new lending rate i.e. MCLR. This kind of anxiety was last seen when base rate replaced BPLR in 2010. Though i am not a market expert, in my opinion, most of the concerns related to Base Rate are not addressed under the new lending rate regime. There is a possibility that even after implementation of the new lending rate the principal concerns of existing borrowers will remain unanswered. In my last post on the same subject, Marginal Cost of Funds based Lending Rate – MCLR we discussed whether the new lending rate is beneficial or not. The conclusion was that new lending rate will be financially beneficial only during declining interest rates. My biggest worry is if interest rates don’t fall further than new lending rate might prove to be a disaster for borrowers. The inflation is rising, and experts are predicting that further decrease in interest rates is highly unlikely. Moreover, the crude oil prices will not forever remain at current levels. Experts anticipate a sharp rebound. All these are speculations and anyone’s guess. The objective of this post is to highlight five loopholes that RBI should have fixed under new lending rate. Even under new lending rate regime, the existing borrowers will be at a disadvantage. The banks may find new ways to keep interest rate differential between existing and new borrowers. 1. Spread or Markup on MCLR: I explained the concept of spread/markup in my post, Impact of Base Rate Cut on Home Loans. The spread is a most potent tool for banks to control the final interest rate. As we observed that after RBI’s 50 basis point repo rate cut, one of the biggest home loan provider increased spread on home loan from 5 basis point to 25 basis point. It was accompanied by 40 basis point cut in Base Rate. Effectively even after base rate cut of 40 basis point, the new borrowers were benefitted only 20 basis point. No scientific reasoning was provided for same by the bank. Being a PSU bank, it was not expected. The same problem will persist under new lending rate. RBI has provided a free hand to banks to add a component of spread to the MCLR. The only consolation in the new policy is that spread will be decided based on bank’s board approved policy. 2. Interest Reset Dates: This point is quite interesting. Banks are free to specify interest reset date on floating interest rate home loan. Currently, the interest reset date is every three months. For almost all floating interest home loans it is 1st Jan, 1st April, 1st July and 1st Oct of every year. Now under new lending rate, banks are free to set periodicity of Interest Reset Date. It can be one year or lower. The interest rate applicable on the date of sanction will be applicable till next interest reset date irrespective of any changes in MCLR between sanction date and reset date. Now you must be wondering what is wrong in this approach. Let me explain in detail. When the banks anticipate that interest rate will fall in future, the reset date will be max allowed period i.e. one year. On the other hand, when banks anticipate an increase in interest rates, the reset date will be shorter i.e. one month/two months, etc. Through this approach benefit of lower interest rate will not be passed immediately. Whereas burden of higher interest rate will be passed proactively to the borrower. 3. The interest rate differential between New and Existing Borrowers: The grudge of existing home loan borrowers against base rate regime is that it did not address the issue of interest rate gap. The same problem will persist under new lending rate. The new regime will only make transmission of repo rate change faster, but it will not fix the shortcomings of existing Base Rate regime. 4. Transmission of Repo Rate changes to Bond Yield: It is another major concern that is not addressed. In last one year, the bond yields are more or less at the same level despite 125 basis point cut in REPO Rate. Current REPO Rate is 6.75% whereas Bond Yield is 7.749%. In short there is a gap of whooping 100 basis point. You must be wondering why i am explaining all this. The reason being, the cost of borrowing of HFC’s is usually linked to Bond Yield. If banks decide to go aggressive on new lending rate, then there is a danger of small HFC’s being out of business. At first place, HFC’s don’t have access to cheap CASA funds and on top of it, the borrowing cost of HFC’s will be good 100 basis point more than banks. Banks can borrow at REPO Rate from RBI, but HFC’s will borrow near bond yields. For the success of new lending rates, it is must to fix the gap between Repo Rate and Bond yields. A competition is always good for the growth of mortgage industry. If this anomaly is not fixed, then it will create a virtual monopoly of handful big boys. 5. Not all class of borrowers are covered under MCLR: The concept of floating interest loan is alien to personal loan or auto loan borrowers. The reasoning given by the banks is that these are short-term loans and will remain fixed. I feel sorry for borrowers of the personal or auto loan. 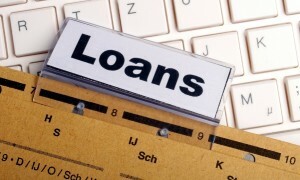 The loan of these borrowers is mostly fixed interest. I was expecting that under Marginal Cost of Funds based Lending Rate will cover all types of the loan including personal and auto loans. It was much needed to pass the benefit of lower interest rate to all class of borrowers. RBI policy does not mention that MCLR is only for Home Loans, but currently, floating interest rate is provided only to Home Loan borrowers. On behalf of all the readers of this blog, i request RBI to fix the loopholes under new lending rate. All the borrowers both new and existing & also personal/auto loan borrowers should be treated equally. I do agree that it is not possible to immediately pass the benefit of lower interest rate to existing borrowers. At the same time, over a period a bank can take steps to bridge the gap between interest rate offered to new and existing borrowers without conversion fees. The conversion fees of 0.25%-0.5% of the outstanding loan are an enormous financial burden. A borrower may opt for multiple conversions during Home Loan tenure. On the other hand, some banks allow conversion only once during home loan tenure. A bank generates a good income from conversion fees. Bank can always refinance existing loans and pass benefits to existing borrowers.